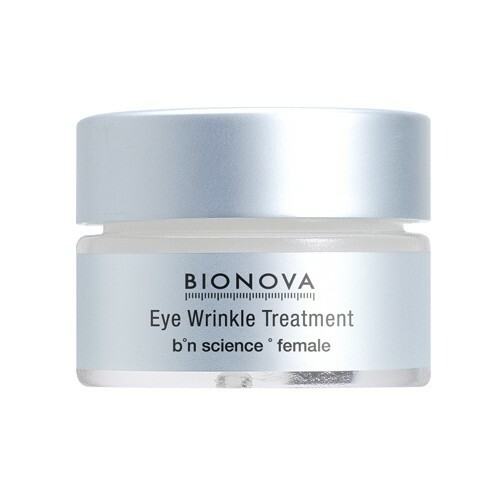 - Increases viscoelasticity of the skin in eye area by 28-35%, minimizes appearance of fine lines and wrinkles by inducing syntheses of structural proteins with a nanocomplex of short chain polypeptides and enzymes. - Regenerates skin matrix, prevents premature aging of eye area with a specially developed nanocomplex of attachment matrix factors, essential amino acids and nucleic acids. - Enhances skin's self-healing ability and increases oxygen utilization in eye area through normalization of cell metabolism using nanocomplex of proteins, sterols and glycoproteins. - Revives skin cell metabolism and reduces signs of aging around eyes using a specially formulated nanocomplex of multiple vitamins, anti-free radical scavengers and enzymes especially selected for addressing the problem of eye area. - Reduces signs of stress and protects eye area skin from harsh environmental conditions with nanocomplex of Intermediate Density Lipoproteins, bioactive carbohydrates, and glycosoaminoglycans especially balanced for eye area. - Optimizes cellular energetic balance using a nanocomplex of multiple intra-cellular transmitters, specially balanced for addressing the problem of eye area. I love the consitancy of this product,it is a little thicker than any other eyecreams i have tried and i like that. It absorbs into eye area with the minimal of effort and does not leave any residue. It is really cooling and soothing. 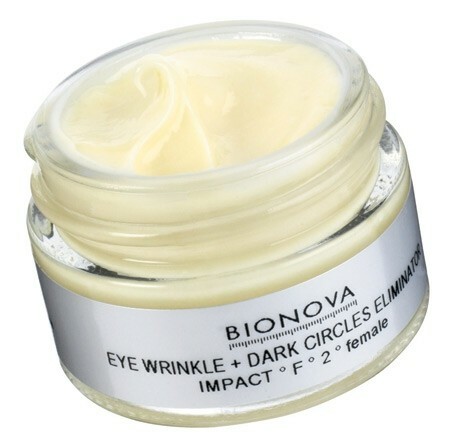 "I love the consitancy of this product,it is a little thicker than any other eyecreams i have tried and i like that. It absorbs into..."